NaftoServ is able to provide all sizes and configurations of downhole mud motors; we provide specific design products for the customer requirements related to torque, well temperature and other Parameters. 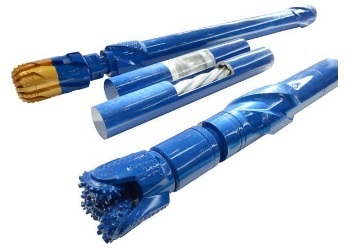 We have very special characteristics of our downhole mud motor which are short length, high power, high pressure drop, low rotate speed, high cooling efficiency, even thermal expansion, and the lighter mass , and all that can prolong downhole motor’s life and improve drilling efficiency in the ultra-deep well, directional well and high temperature well. With corrosion spraying to form special coating, the rotor is better corrosion, erosion and abrasion-resistant. And downhole motor is suitable for long time in the corrosive fluid.